Chithra pournami falls in the month of may-Jun, we celebrate this as an auspicious day. The full moon in Chitra: A full moon is considered auspicious in many religions because of its effects on the attitude of people. The full moon is said to promote creativity and positive sentiments. Sentiments are said to ride on higher waves of consciousness leading to an abundance of positive energy and higher consciousness. 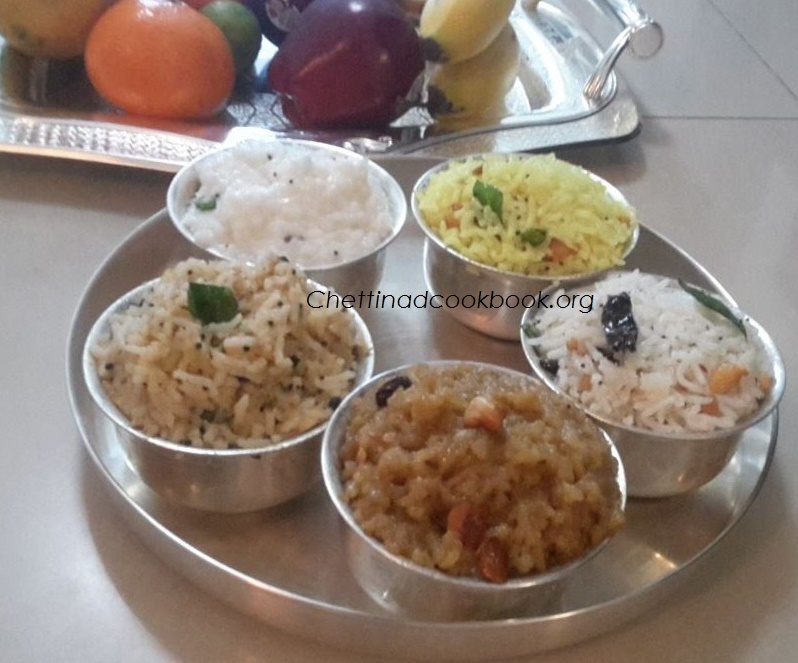 Neivedhyam – ‘Cithrannam’, Lemon rice, Curd rice, Mango rice,Chakkara pongal and Coconut rice are prepared on this day with tender coconut juice, buttermilk and panakkam as prasadam for god. 1. Wash and soak rice for 10 minutes, cook with 2 cups of water. spread cooked rice in a wide bowl to normal temperature. 2. Heat pan with oil add mustard seeds, urad dal, groundnut, channa dal and broken cashew fry till golden yellow. 3. Add chopped green chillies and curry leaves stir for a while, add turmeric powder and salt, squeeze lemon (remove seeds) and switch off the stove. 4. Add cooked rice into the seasoned ingredients gradually mix well. Grind above ingredients to a coarse paste, keep it ready to mix with rice. 2. Heat pan with oil add mustard seeds, urad dal, fry till golden yellow. 3. Add coarse ground mango paste, stir well saute until you get nice aroma approximately-2 to 3 minutes. 4. Add cooked rice and mix gently. 1. Wash and soak rice for 10 minutes cook with 2 cups of water. Spread cooked rice in a wide bowl to normal temperature. To enhance the richness of coconut flavour, you can boil rice in coconut milk. 2. Heat pan with oil season with mustard seeds, urad dal, channa dal, red chilli and cashew nuts fry till golden brown. 3. 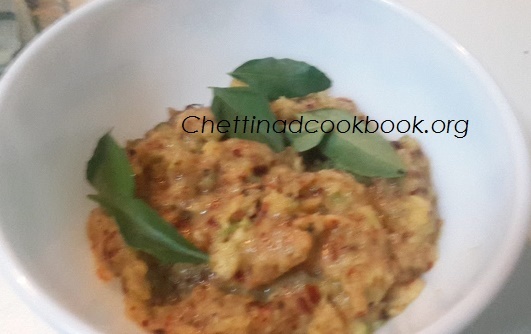 Add curry leaves and grated coconut fry for a minute.